The how-to section of Decks.com is designed to provide in-depth educational instruction on the subjects of deck building from start to finish. Decks.com uses the input from knowledgeable deck professionals, including contractors, building inspectors and our qualified staff to educate the public on current and accepted deck construction methods and related topics. Here you will find 100s of articles about deck design, materials and how to build and maintain your deck. 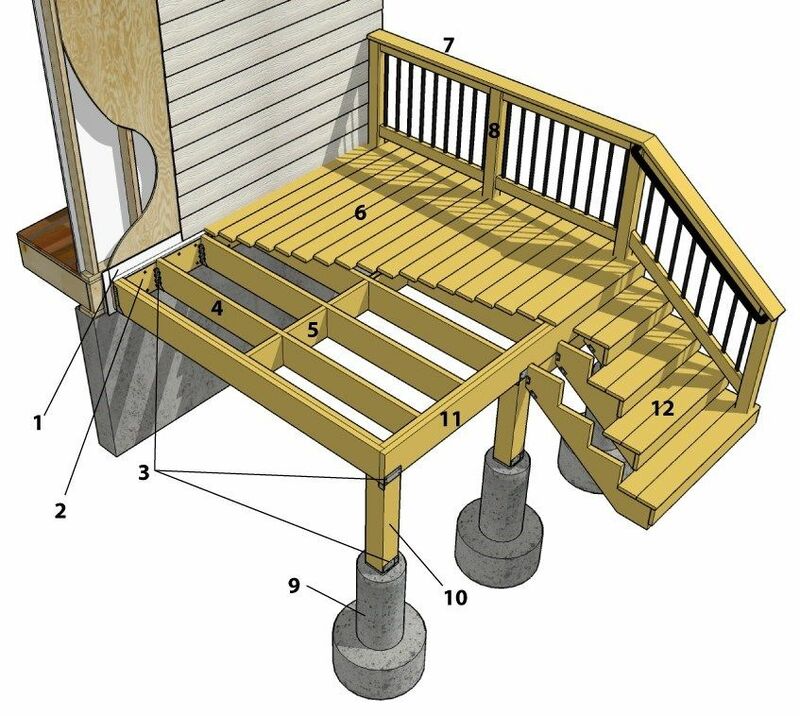 Click on the links below the deck anatomy diagram to learn more about the important parts of deck construction. We hope you find what you are looking for and good luck building!